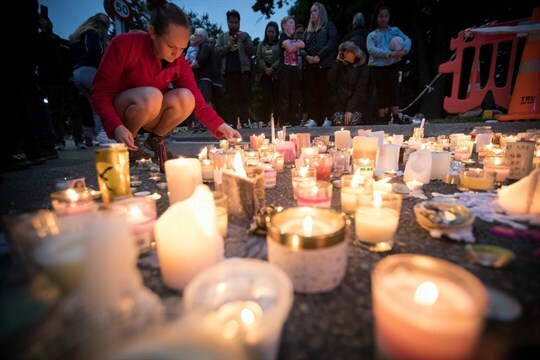 Candles are placed to commemorate victims of last week’s shooting at the Al Noor mosque in Christchurch, New Zealand, March 18, 2019 (AP photo by Vincent Thian). The mass shooting last Friday at two mosques in Christchurch, New Zealand, by a self-avowed white supremacist, and the violence in Paris on Saturday by the last vestiges of the Yellow Vest movement, have nothing substantively in common. But despite being discrete phenomena, they illustrate two of the greatest emerging threats to the internal cohesiveness of Western liberal democracies: the normalization of ethno-sectarian violence, and the legitimization of political violence.